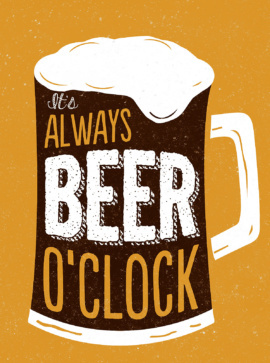 It’s Always Beer O’Clock, ISBN: 9781786850089 - available from Nationwide Book Distributors Ltd NZ. Ale, lager, stout, bitter… There are so many different types of beer that you’d need a lifetime to try them all. Whatever your favourite hop-based delight, draft or bottled, indulge your inner brewmaster and raise a glass to the perfection of the pint with this collection of quips from the world’s wisest and wittiest drinkers.